Civil activist and Attorney-at-Law Nagananda Kodituwakku was yesterday barred by the Supreme Court (SC) from practicing as a lawyer for three years after being found guilty of acting in violation of SC rules and in a manner unsuitable for the legal profession. A three judge bench made the ruling after examining a complaint made by current Supreme Court judge Vijith Malalgoda when he was functioning as the President of the Court of Appeal. The three judge bench comprising Chief Justice Nalin Perera, Justice Sisira de Abrew and Justice Prasanna Jayawardena made this order pursuant to the complaint made concerning improper, insulting, intolerable, unbecoming and contemptuous behaviour on Court of Appeal by respondent Nagananda Kodituwakku. 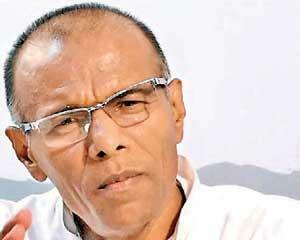 The Supreme Court ruled that Nagananda Kodituwakku has breached rules number 60 and 61 of Supreme Court.